Nantglyn is one of the ancient parishes of Denbighshire. It comprised the four townships of Blaenau, Cwmllwm, Hendre, and Plas. There is evidence that there was a church at Nantglyn from a very early date, situated a few hundred yards from the site of the present church. The church was mentioned in the Norwich Taxation of 1254. The present building was partly rebuilt in 1777, and was almost entirely rebuilt in 1862. 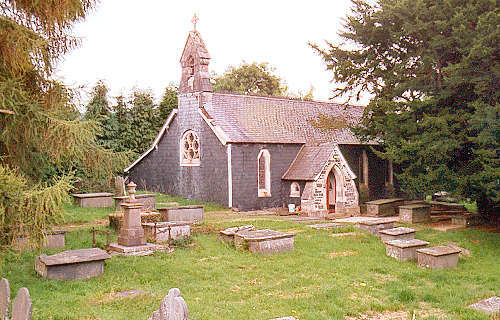 For family history information about the church and parish, visit the GENUKI Nantglyn page.